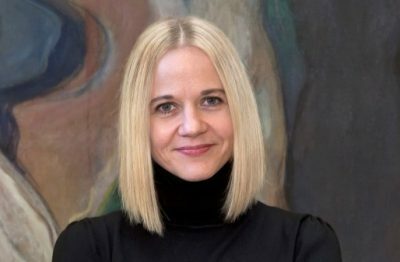 The board of Norway’s National Museum in Oslo has selected a new director from Denmark. Karin Hindsbo was tapped not only to lead Norway’s largest museum itself but also to guide its biggest move ever, into brand-new quarters on the capital’s western waterfront. Hindsbo, age 42, has already been living and successfully working in Norway for five years. The former artistic director for Kunsthal Aarhus and Copenhagen’s Den Frie Udstilling has also been director of Sørlandets Kunstmuseum in Kristiansand and she’s currently director of the KODE art museums in Bergen, where she’s won rave reviews. Her appointment this week as director of the National Museum was widely hailed by commentators, cultural officials and artists alike. The energetic woman who helped draw record numbers of visitors to the Bergen museums under her leadership faces some major challenges, though. Her appointment effectively fired the man who has led the National Museum for the past eight years, Audun Eckhoff. He had hoped to continue when his term came to an end, but the board opted for “new blood,” according to its leader, Linda Bernander Silseth. “There’s a time for everything,” Silseth said, while insisting that Eckhoff did a good job during his years at the helm. Many agreed that he helped calm years of conflicts within the museum, which had undergone great management turbulence before his appointment. He was its third director in as many years and managed to settle things down, but was also viewed as having too low of a public profile. Some wanted him to be allowed to continue, with one art history professor calling it a “very bad time” to change leadership given the looming move to new quarters. Eckhoff claimed he didn’t take the board’s decision against renewing his contract personally, while Hindsbo said he was the first to call and congratulate her. Hindsbo’s biggest challenge will simply be coordinating the museum’s move itself and taking a stand on what will be done with its former, historic facilities that have been public institutions in Oslo for more than a century. The new National Museum, now under construction right behind the Nobel Peace Center and next to the Aker Brygge comples, will basically combine the contents of the National Gallery, the Museum of Decorative Arts and Design (Kunstindustrimuseet), the Museum of Architecture and the Museum of Contemporary Art. Most controversial is the fate of the National Gallery, a much-loved museum in the heart of Oslo that houses some of Norway’s most cherished paintings and national treasures. Many, including architect and activist Fredrik Torp, want it to remain a gallery of paintings, while others want it to house special collections, like the one set to be donated to the National Museum by retailing tycoon Stein Erik Hagen. Campaigns are underway to have the National Gallery remain a part of the National Museum, while state officials have recommended it be turned over to the neighbouring Museum of Natural History. 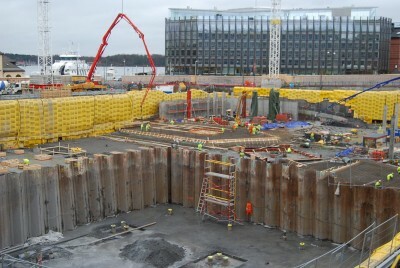 Hindsbo is determined that the new National Museum in Oslo will make its mark internationally. She’s known for being good at marketing, and as commentator Lars Elton wrote in newspaper Dagsavisen, Hindsbo is “a director with ambition.” She’ll assume her new post on June 1.